You must buy a minimum of 2 due to manufacturer packaging. Offer guests optimal comfort while relaxing on your outdoor patio or deck with this Grosfillex US300289 / US030289 Sunset resin armless barstool! 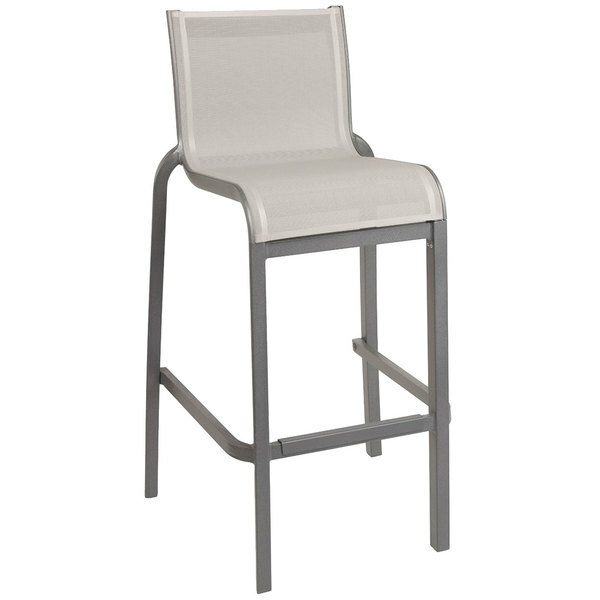 This barstool features a platinum gray, fiberglass-reinforced resin frame that is lightweight, yet durable for long-lasting use. Its solid gray sling seat is made of Microban anti-microbial treated textilene fabric, helping to resist mildew, mold, and prevent sagging after extended use. This fabric is also UV resistant to ensure its attractive color won't fade when exposed to direct sunlight, and thanks to its breathability, it dries fast after becoming wet from rain or a power-washer cleaning. This barstool's armless design allows guests to take a seat from three different directions, making it easier to sit down and adjust to their comfort level. Plus, its legs are capped with glides to protect it from wear and tear over time. Boasting an ample 300 lb. 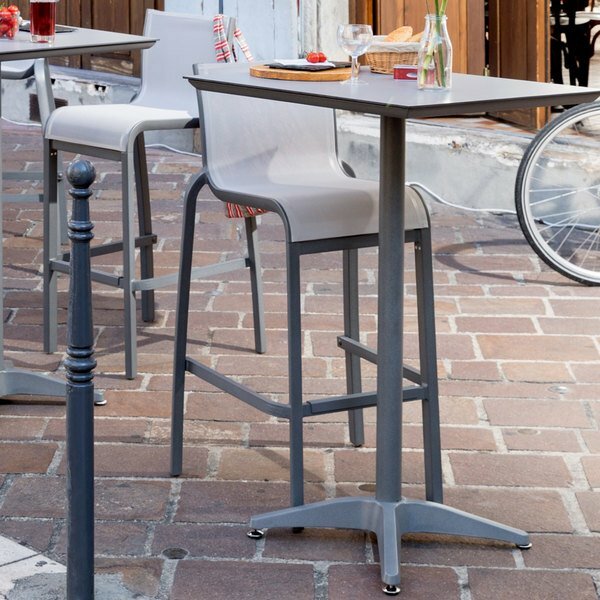 weight capacity, this barstool guarantees comfort as guests enjoy your outdoor dining area!